It was awesome to be finally able to play Planet Harriers, but the set up wasn’t very practical or wife friendly with it taking over our lounge. I needed a dedicated Planet Harriers cab! 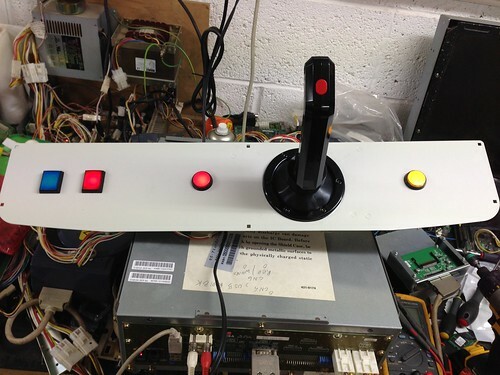 The plan was to make a custom panel and play the game in a Naomi cabinet. I picked up a NOS Sanwa analogue JLK-GF2-AT flight stick (same type as used on Planet Harriers cabinet) and a NOS Sega analogue control panel [NAO-2019]. 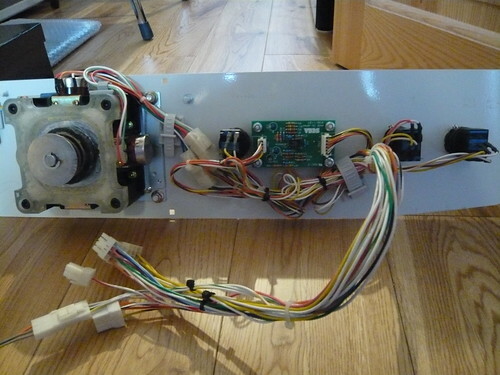 I’d also use my Planet Harriers cabinet control panel loom and buttons, and the analogue stick amplifier PCB. Fast forward to 2013 and this still remained an unfinished project. I contacted Craig / Giz10p and he kindly agreed to make the panel. 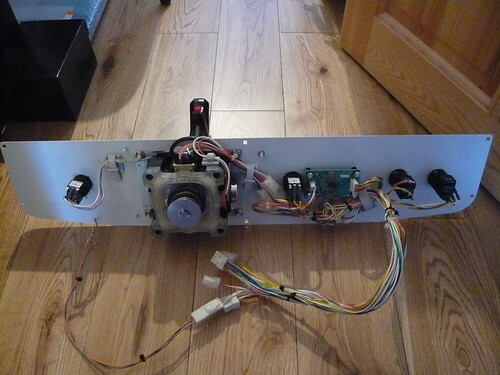 No part of the original Planet Harriers control panel loom has been hacked, not a single cable cut, just re-pinned and the connectors changed so that it will plug into a Naomi. 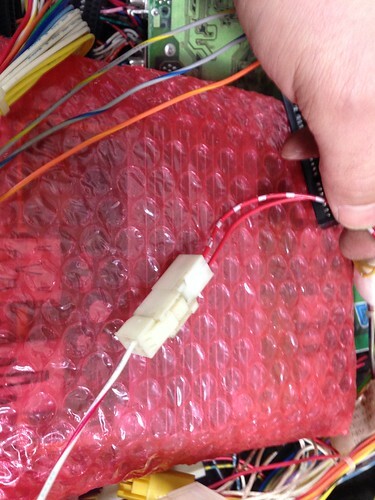 The loom uses player 1 digital, player 1 analogue, extra button 15 way connector, and the 4 pin connector that’s normally sat doing nothing in the bottom of the control panel lower (connector with 1 red and 1 red/white wire into a 4 pin connector). 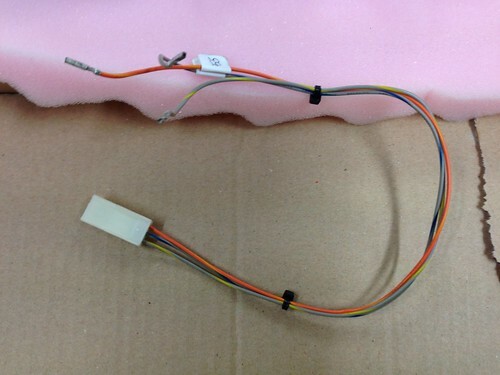 In addition to these a 3 pin loom was made for the extra lamp switching used on the buttons. 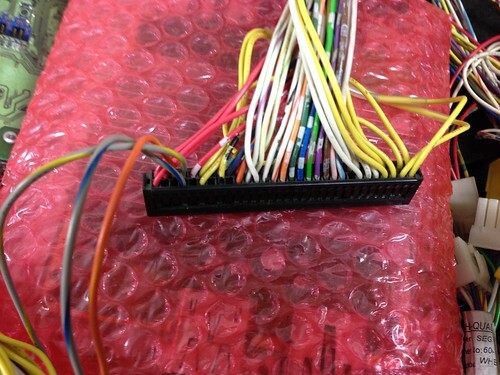 This has a 3 pin connector on one end and the correct pins on the other end to clip directly into the digital I/O loom. A massive thanks to Craig / Giz10p for his superb work on the panel!